Saint Ignatius College Preparatory (SI) seniors modeled designs by Academy of Art University students during the Ignatian Guild Fashion Show. As fashion’s most infamous month came to a close, the Ignatian Guild held their 48th Annual Fashion Show. 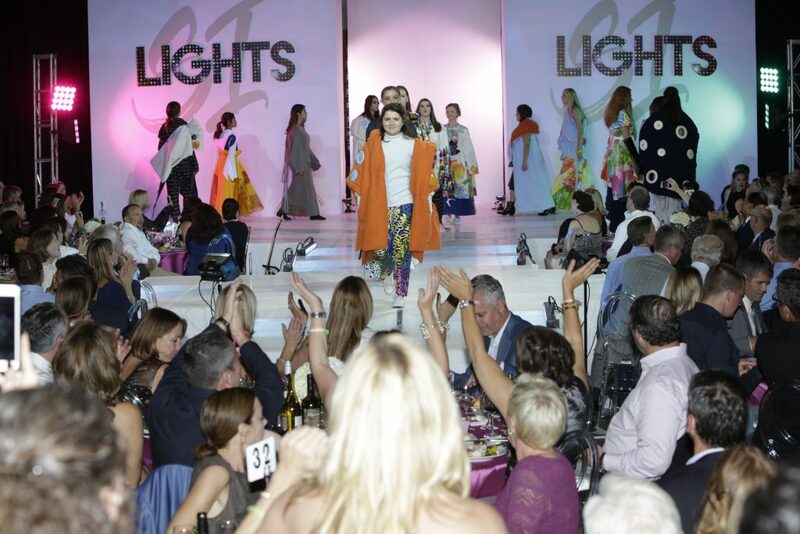 The event, SI Lights: The World is our Runway, is a benefit for the St. Ignatius Scholarship Fund as much as it is a celebration of the school’s seniors and the St. Ignatius community. The show had all the airs of an industry event. Models attended fittings in the days leading up to the event. Stylists and hair and makeup teams worked diligently behind the scenes in the final hours to prep models for the catwalk. Guests arrived via a blue carpet and were given programs and souvenir light-up bracelets. 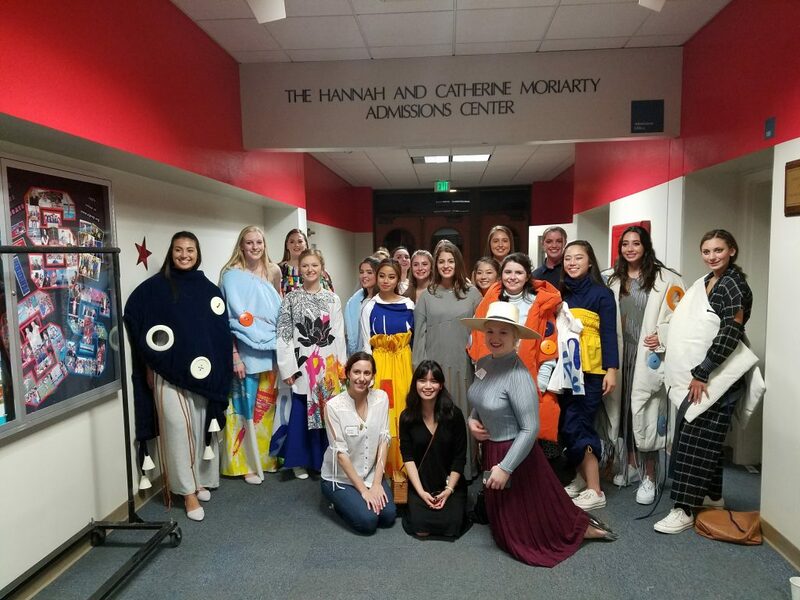 Academy of Art University senior styling students Rachel Garcia, Sophia Charles, and Sara Lane pose with their models following the show. At showtime, the SI Class of 2018 brought an attitude of fun while maintaining respect for the clothes during the hour-and-a-half show that felt fresh from start to finish. The seniors’ personalities shone through with complex handshakes, choreographed dance moves, nervous smiles, and waves to the audience. The evening’s show included dance tributes to both Michael and Janet Jackson, a traditional hula dance, an acoustic musical performance, and even a rendition of Hamilton’s “My Shot.” True to the show’s theme, the students lit it up. You didn’t have to be a fashionista to appreciate the evening! Academy of Art University senior styling student Sophia Charles prepares looks backstage for the Ignatian Guild Fashion Show. 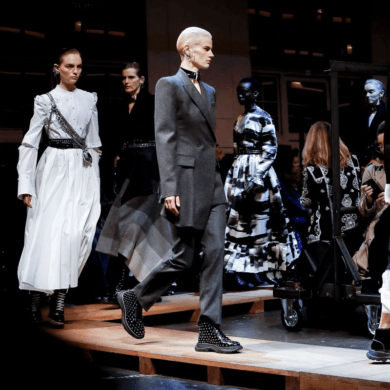 Garcia assisted two other senior fashion styling students from the Academy of Art University’s School of Fashion, Sophia Charles and Sara Lane. It was just the second time in the event’s 48 years, that the Academy of Art University was involved, and the second time styling the event for Charles. 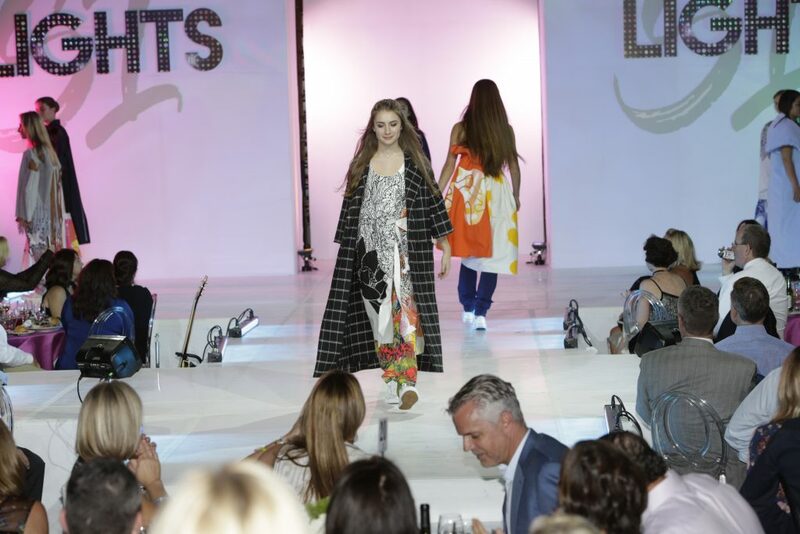 Last year, runway looks were supplied by Shop 657, an innovative concept store run by the University’s School of Fashion, with products designed and produced by alumni. This year’s looks, however, were taken directly from collections created by the University’s fashion design students. SI’s Fashion Show Chair, Patti Sheedy, said, “It’s been wonderful. Very, very fun [working with the Academy of Art University]. Everyone has a mutual respect. The amount of work put into what you guys delivered to us is amazing.” The event, which raises anywhere between three- to four-hundred thousand dollars each year for the Saint Ignatius Scholarship Fund, was an unforgettable night for all. For Lane and Charles, it was an opportunity to take pieces from the various collections, create new looks for the SI runway, and showcase the skills they have learned during their time here. “Some were very neutral, some were very colorful, and it was a just a nice balance to just mix it together,” said Lane. 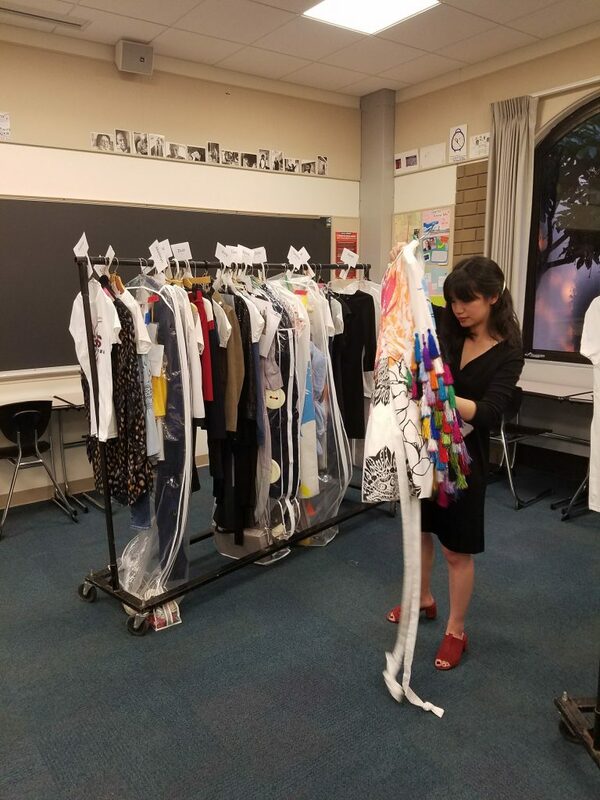 Under the direction of Flore Morton, Academy of Art Assistant Director of Fashion Styling, our students put together looks for the 19 SI seniors who modeled them. 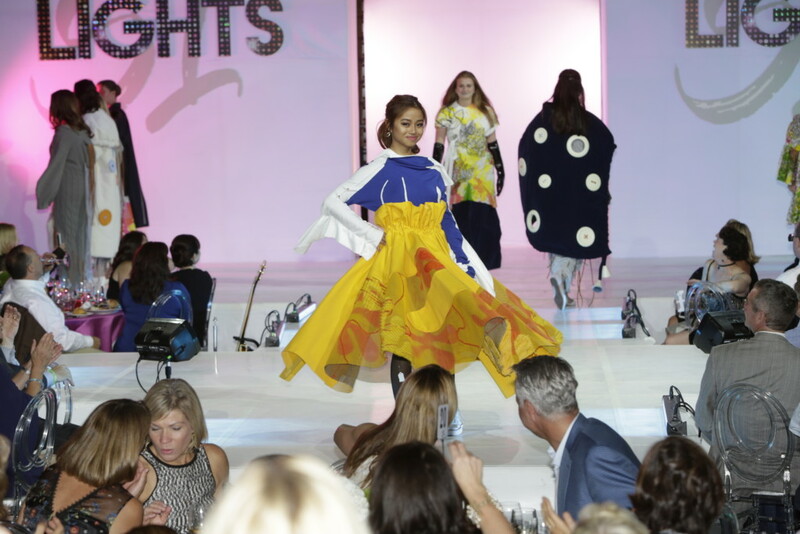 For the seniors, it was potentially a once-in-a-lifetime opportunity to model high-fashion looks on a night that would be remembered for years to come. “They would get excited during the fittings…the garments were so different from their own clothes, far more unique and theatrical – which is perfect for the runway.” said Charles.